Have more fun. Play better. Prevent injuries. Love the game. "The Beautiful Project is an terrific primer for girls coaches at all age levels, particularly the volunteer, first-timer or parent coach. An invaluable introduction to the philosophy of Positive Coaching paired smartly with practical tips on injury prevention, concussion awareness, and other essential coaching skills." "The Beautiful video is really good! I love that it teaches FUN as a key common denominator of success. It also simplifies the proper progression of a training session, which for some coaches is the most challenging part of planning a practice." "No other video specifically addresses the challenges of coaching girls and the importance of keeping them in the game. As a coach, I learned to take into account the whole girl - their unique psychology and physiology. Understanding how girls think and what is important to them helps you to motivate them and keep them engaged. The Beautiful Project's practice tips are invaluable and helped our coaches run more effective and productive practices." "The video is well made with important points about how girls develop. It addresses many of the concerns around the sport today such as technical development, knee injuries, heading and concussions." "This is a great tool for coaches to use - especially dealing with the specifics of girls and women's soccer. It is also great for any young female player to hear from their heroes!" "By sharing why young female soccer players are different, you've armed coaches and parents with the competency of how to lead their daughters through their soccer journey. As a professional teacher, coach and director of a girls soccer camp, I can't commend you enough for initiating a line of conversation about a solution, AND providing the solution." Beautiful is the only comprehensive video resource for coaches of girls who play soccer. The Beautiful Project's Executive Producer is Ralph Ranalli, a journalist and videographer who is also the former president of one of the largest girls soccer programs in New England and hold a USSF E License. The Beautiful Project was created by The Word Syndicate LLC, a Massachusetts-based production company specializing in creative and socially-conscious video projects. The Boston Breakers are co-sponsors of the Beautiful Project and provided coaching expertise and logistical support. 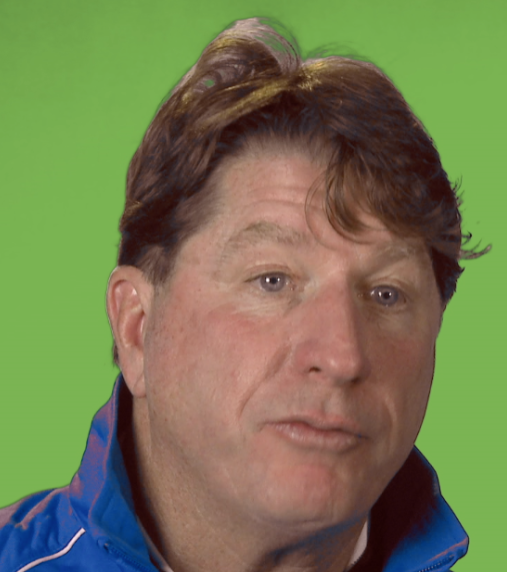 Breakers Academy Director Tom Durkin provided his soccer coaching wisdom for the production. Meanwhile, a group of legendary Breakers players - including current and former USWNT members Sydney Leroux, Heather O'Reilly and Cat Whitehill - give valuable perspective for coaches, parents and players alike. No one has ever put together a group of experts like this before for a video about how to coach girls soccer. Not only is this vital information that girls coaches must know in order to be successful, it comes from some of the most respected people in the country in their fields of expertise. 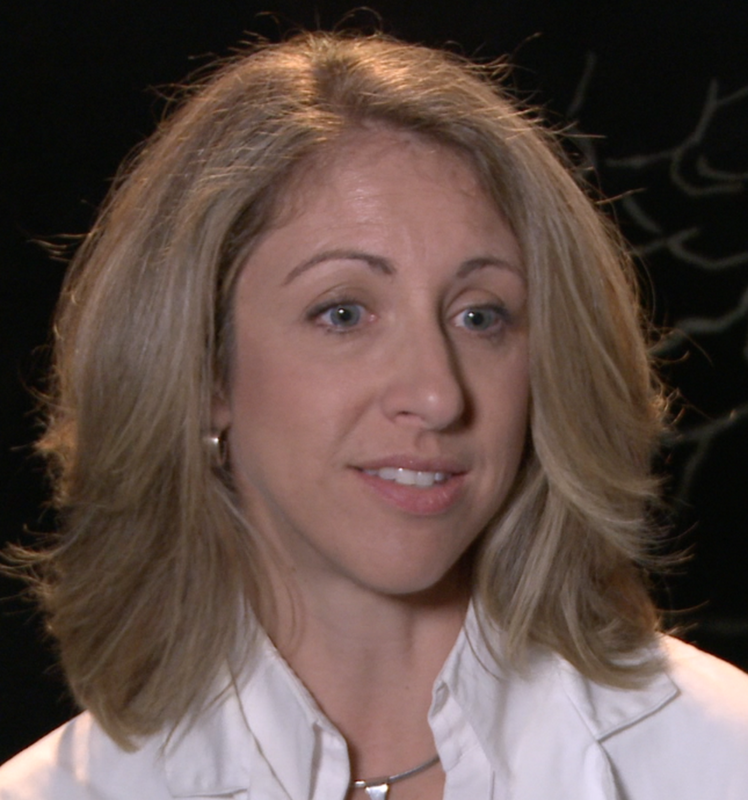 Kate Ackerman is an international expert in sports performance and the female athlete triad - the interconnected relationship between nutrition hormones and bone density. Understanding the triad is crucial for coaches of girls ages 9 to 13, whose bodies are undergoing rapid changes due to puberty. Dr. Ackerman is a former member of the US Women's Rowing Team and is now their staff physician. Becky Manley is a nationally-recognized expert on body image and body confidence. She has conducted extensive research into how coaching styles affect the attitudes and behaviors of young female athletes. She also led development of the nation's first eating disorders screening program for girls and helped create the first positive body image curriculum for the US Office of Women's Health. Bill Meehan is one of America's top experts in concussions. In addition to his work at the Micheli Center, he is Research Director for the Brain Injury Center at Children's Hospital Boston and Associate Director of The Football Players Health Study at Harvard University. A Harvard Medical School Graduate, his work has been funded by the National Institutes of Health, the NFL Players Association, The NFL and the NHL Alumni Association. Jim Thompson founded the Positive Coaching Alliance, America's foremost promoter of best coaching practices for youth sports. The author of nine books on youth sports who also teaches at Stanford University, Thompson has enlisted dozens of celebrity athletes and coaches to help build up PCA from a small local nonprofit into a national network of more than 100 trainers who gave 2,000 live workshops for coaches, parents and athletes in 2015. Tom Durkin is a USSF Master Staff Coach for "A" Level Courses, the highest coaching certification offered by US Soccer. Tom was the head coach of the Boston Breakers Professional Team during the 2014 and 2015 seasons NWSL seasons and he has previously worked as Academy Director for IMG Academies, the home of US Soccer's U16 and U17 Men's National Team residency programs. Jim Liston is the co-founder of CATZ and a renowned expert in teaching coaches how to safely and effectively integrate sports performance training into their programs. Athletes trained by CATZ include American and international soccer stars Kristine Lilly, Heather O'Reilly, Kelly O'Hara, Amy Rodriguez, Heather Mitts, Fabiana, Kate Markgraf, Lauren Cheney, Taylor Twellman, Cobi Jones and David Beckham. Sydney Leroux has more than 50 caps with the US Women's National Team and played for the Breakers during the 2013 season, after the relaunch of women's professional soccer in the US with the National Women's Soccer League. Sydney was the youngest member of the USWNT when they won gold at the 2012 London Olympics and was also part of the 2015 Women's World Cup winning team. In Beautiful: Teaching Girls Soccer the Boston Breakers Way, Sydney talks about her challenges fitting in socially with an athletic body type when she was a growing up and about the importance of girls developing a positive, healthy body image. 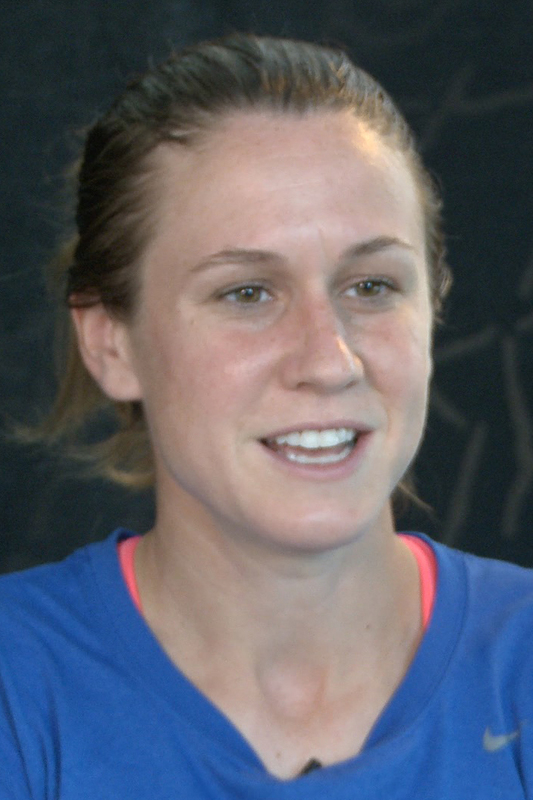 Heather Ann O'Reilly recently retired from international soccer after earning 230 caps for the USWNT. Known to friends as "HAO," she played for the Breakers during the 2013 and 2014 seasons. A product of the powerhouse college program at the University of North Carolina, Heather was the youngest member of the gold-medal-winning 2004 Olympic team and scored the game winning goal in the semifinal. Overall she is a three-time Olympic Gold Medalist and a 2015 Women's World Cup champion. Known for her max effort play, Heather talks about the importance of creating a development-first environment that allows young female players to risk and accelerate their growth as players. Cat Whitehill is a Breakers legend and currently the Assistant to Boston Breakers Head Coach Matt Beard. Cat scored 211 goals during her high school career in Alabama, and also played for legendary coach Anson Dorrance at UNC, where she won the 2003 M.A.C Hermann Trophy, college soccer's highest honor. Cat played 7 seasons in US women's professional soccer, including 5 with the Breakers in the WPSL and the NWSL. She has 134 caps with USWNT over 10 years, is an Olympic Gold Medalist and holds the record for the longest goal-scoring shot in US women's history with a 70-yard free kick against Sweden. Cat talks about the importance of developing trust relationships with young female athletes. Girls truly play the Beautiful Game. And soccer has amazing benefits for girls. But it has risks too: bad coaching, concussions & blown ACLs. This DVD shows you how to teach the game the right way. "BEAUTIFUL: COACHING GIRLS SOCCER THE BOSTON BREAKERS WAY"
The "Beautiful: Teaching Girls Soccer the Boston Breakers Way" DVD is divided into 8 chapters, each with crucial lessons and advice about best practices for properly coaching young girl athletes. Most chapters also include helpful demonstrations of soccer exercises designed to enhance the soccer experience for girl players and to help avoid problems like injuries and burnout. This chapter explores the differences between girl players and boy players and how the coaching needs of girls change as they age and develop. This chapter delves into female group dynamics and why girls soccer is the ultimate team sport. It includes information about what coaches can do to nurture and harness that power. Chapter 3 explains why positive coaching is especially important for girls and explores the differences between how girls and boys learn and process information. Coach Tom Durkin explains the fundamental building blocks of a productive practice sessions for girls teams. This chapter tells you everything you need to know, but were afraid to ask, about what happens to girl athletes as then develop into women. It also helps clear up common misconceptions about puberty and athletic performance. Chapter 6 introduces the Beautiful 12 Warmup, developed by CATZ specifically for the Beautiful Project. The 12-minute, soccer specific, injury-preventing warmup was created as a response to our research, which found that most coaches were willing to run an injury-preventing warmup but believed they have time for one in their practice. This chapter explores the epidemic of ACL and knee injuries in girls sports and the reasons why girls are 6 times more likely to suffer a catastrophic knee injury than boys their age playing the same sport. You’ll also learn early-intervention strengthening exercises that are the only method proven effective to help girls avoid knee problems. The final chapter explains what happens when girls get concussions - an important topic because girls soccer is the #2 youth sport for concussions behind boys tackle football. This project would not have been possible without the generosity of more than 400 Kickstarter Backers who supported us. Thanks to each and every one of you.